Leeds City Council supported the project by providing access to street furniture. 1st Wetherby Beavers, are opening a 2nd Beaver colony to be held on Tuesday evenings 6-7pm at the Scout Hut on Barleyfields Lane, Wetherby. This is for boys and girls aged 5 1/2 to 8 years old. Beavers have lots of fun with a full range of activities and we have a fun-packed programme planned for this term. If you think your child would be interested in joining our fun packed Beaver group then please contact us and we will be happy to give you some more information. Email:- gsl1stWetherby@gmail.com who will be able to give you any further information about the Beavers, Cubs and Scouts. Bilton in Ainsty Cricket Club: have two teams who play in the Wetherby and York Saturday cricket leagues and are recruiting now for the 2019 season. If you are interested contact Andy Walker, 1st team Captain on 0784 3086062 or email biacc@hotmail.com. The Yorkshire100 sets out from the University of York in Heslington and heads out along mainly quiet roads into the Vale of York and the Yorkshire Wolds and back – taking the riders out into beautiful Yorkshire scenery. There are three distances to chooses from: The Bunny Hop at c33miles, the Cat’s Whiskers at c56miles and the Dog’s Dinner at just over 100miles. “Many people don’t realise that as we are a separately registered charity to the national RSPCA that we need to raise money locally to help local animals in need. We care for dogs, cats, puppies, kittens, rabbits and other small furries, many of whom have been abused, neglected, abandoned or are simply no longer wanted. The club meets on the 1st Monday of the month at the Mason House Community Centre at 2pm. New members would be very welcome, between the age of 55 and 100 years. With all the retirement properties built over recent years, there maybe some lonely people in need of friendship. A list of the activities, entertainment and outings are shown below. Membership is just £2 per month. The Bone Cancer Research Trust (Charity Number 1159590) are the leading charity dedicated to fighting primary bone cancer, and we would love the support of your listeners. It’s so easy for your listeners to get involved, we would like to ask them to save used and new postage stamps from the UK and overseas, any amount at any time of the year is very much appreciated. In 2018, we raised £12,775 just from stamps and stamp collections. In 2019 we wish to raise at least £25,000. I’ve provided some copy below, if you would be kind enough to include it in your broadcasts? The Bone Cancer Research Trust is the leading charity dedicated to fighting primary bone cancer and they need your help! Please save your new and used stamps for their Stamp Appeal. Thorp Arch & Walton (YCA) ladies group has been in existence for over 80 years and for the last 30 years has been affiliated to the Yorkshire Countrywomen’s Association. The group exists to promote friendship & support and is open to any women in the local community over the age of 16. Visitors (Gents & Ladies) are welcome to all our open events. New members are guaranteed a warm welcome. We meet on the third Tuesday of every month at Boston Spa Methodist Church at 7.30pm and have a varied diary combining talks, trips, meals, tours and practical sessions covering a diverse subject base including food, drink, history, architecture, crafts, law & order, health and anything else that takes our fancy! If you would like to know more, please contact us by email tawyca@outlook.com or visit our facebook page @tawyca. We look forward to seeing you soon. Deliver a range of activities & projects to suit all tastes, interests and abilities. Provide a welcoming and exciting space delivering social and educational opportunities for young people in Tockwith and the local community. Offer positive opportunities for young people to engage with the local community and to create a sustainable and safe environment. If anyone is interested in supporting and getting involved with this possible venture – please get in touch. Access to grants and training for people to become Youth Workers is available. Currently the nearest Miscarriage Association Support Group is in Manchester, which is why Alison Szustakowkski is setting up a group for Leeds and the surrounding areas and is the volunteer Group Leader for this group. Miscarriage is the most common kind of pregnancy loss, affecting around one in four pregnancies. The meetings take place on the first Thursday of every month, 6:30pm – 8:00pm at the Mercure Wetherby Hotel, LS22 5HE. Alison Szustakowkski thanks the Mercure Wetherby Hotel for offering the use of one of their beautiful rooms, with refreshments, free of charge. Reopens after the Summer break on Monday, September 3. Do you enjoy painting or drawing? Perhaps you like the idea, but have never got round to trying it. Whatever your experience or skill you will be most welcome at Tockwith Art Group. We are a small diverse group with a common interest in making pictures. Some paint in oils, water colours or acrylics, others prefer pastels or collage. Whatever your preferred medium, you are sure to fit in. We also host occasional demonstrations and workshops by well-known and professional artists. For more information contact Janet on 01423 358253 or Donna on 07532 461501. Or just call in – Monday evenings 7.30 to 9.30pm at Tockwith Village Hall. Yeadons or Boston Spa Library just 20 pence. The Senior Table Tennis Group at Boston Spa Methodist Church are talent spotting and seeking new members. Club Nights: are on Monday evenings from 5:00 to 7:00pm with Home matches played in the Harrogate League on the same night. Strictly over 18s only. Losing a loved one can be the most devastating experience to a person. Everyday life suddenly changes leaving a bleak and hopeless outlook. Help through this devastating time is available with Cruse Bereavement Care, the only national bereavement charity in the UK, who supports thousands of people annually. York Cruse now needs more volunteers as demand for their service is increasing all the time, but is finding that fewer people are coming forward to train, possibly because they perceive it as a depressing service. We are looking for people who like helping people and are good listeners. Volunteers support each other and far from being depressing find the work stimulating and rewarding The commitment is just a few hours each week, with appointments fitting into the volunteers own schedule. Travelling expenses are reimbursed and volunteers are asked to attend the monthly volunteer’s meeting. Last year York Cruse provided support to 512 people, including 90 children. Our volunteers are at the heart of the care St Gemma’s provides to local people with life threatening illnesses. Whatever your skills, we have a role to suit you. Working alongside the Shop Manager, you’ll become part of the team which generates as much income as possible to support patient care. Volunteers work in shifts, often donating one or two mornings or afternoons per week but two hours once a week is also valuable. Shops are open Monday to Saturday, 9am to 5pm so there will be times which fit in with your other activities. How do I become a charity shop volunteer? It couldn’t be easier. Simply pop into or phone your local branch and arrange to meet up with the Shop Manager for an informal chat about the role. If all goes well, the Manager will ask you to complete an application form and will collect a reference. The Manager will contact you with a start date and will introduce you to your fellow volunteers and arrange training. Alternatively, you can download the application form from this page, and submit your application online. Please remember to state at the top of the form the name of the charity shop that you would like to volunteer in. In 2011 Hayley Dodsworth from Bardsey started a local group called FitNFun for people living locally and in the surrounding villages. Since then over 65 people have signed up, joined in when they can, without cost or commitment, getting exercise and making friends with likeminded locals. 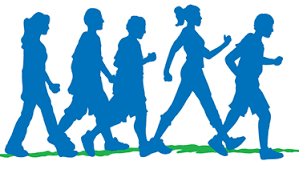 They meet at the Bardsey Sports and Cricket Club, Keswick Lane, Bardsey at 7.30pm every Wednesday, between April and September, and return there after a 3km walk or 5km run, for well earned refreshments and to get to know the other members taking part. Over the years we have set fundraising targets and trained and taken part as a team in many local fundraising events. We have found that signing up to a fundraiser is a great incentive to get people moving. If they have set themselves a goal to achieve and by doing this with others, keeps you motivated and on track to train and succeed whilst doing a very good thing for the chosen charity. The FitNFun nights provide safety in numbers for those who want to exercise in a group and the socialising afterwards helps people get to know each other who may live on the same street but never meet otherwise. We have a website on www.fitnfunbardsey.com or Facebook: FITNFUN and would love to hear from you. Are you aged 50+? Do you have a Learning Disability? Do you feel lonely? Would you like to get out more? Bee Together would like to help. We would first like to ask you questions about how you feel and about the difficulties you have getting out. Do you have someone to go out with? Do you know what things are going on? Then we will put you in touch with people who may be able to help you do the things you want. Meetings are held each week on a Wednesday morning at the Clifford Village Hall, 9:30 for 10am, with a variety of guests speaking on subjects of interest. New members are welcomed, so please come along. There is a small weekly subscription, with free trials visits available – Contact 842665 for further information. A very friendly informal group of people reciting poetry, either their own or from other poets, meet every other Thursday. There is a new topic every session and everyone is very welcome to join them!! Held at the Boston Spa Village Hall from 2pm – 3pm. Admission £2 including refreshments. Volunteering is a great way to meet new people, use your hidden talents and gain a real sense of community. If you enjoy talking to people, have some time to spare and want to make a real difference to someone’s life, come along and meet us, make new friends, use your skills and gain new ones! There are some very rewarding things you could become involved in. Depending on your interests and availability, you could help at one of our monthly Memory Cafes in either Boston Spa or Collingham, assist at the WiSE Owl Café for the community in Boston Spa village hall or at one of the fantastic entertainments or activities run by WiSE. You could also become a friend to an elderly person or join us as a volunteer for our transport scheme.